Why should you choose Intex as your trusted provider for your new windows renovation project? The reasons are many, but the most compelling of all is the glowing reviews that we continue to get from our clients. We treat every client and project with care and respect because we truly want the best possible windows solution for your property. Not only do we offer excellent quality windows and doors such as Milgard Tuscany Windows, but our service and installation team is the best in the area. If you need Replacement Windows in La-Crescenta-Montrose, we should be the number one place you should call. Our team will respond quickly and schedule a free, no obligation estimate appointment where you can discuss your needs and ideas for your window replacement project. We will then follow up with a detailed plan for the types of windows used as well as a budget and timeline for project completion. Our team of experts are skilled to work with all types of real estate properties including single and multi-family homes, apartments, condos, and office buildings. Whatever window needs you may have, rest assured that we have the right experts to serve your needs. If you want a particular style of window, just look through our extensive catalog and we are certain you will find something that’s just right for your building. If you happen to be overwhelmed with the choices, our skilled expert will be glad to help you narrow down your choices. It really can be a simple process when you shop from Intex Windows & Doors. 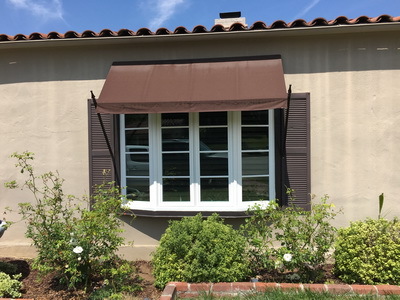 When you are considering installing Replacement Windows in La Crescenta-Montrose, you should consider the cost savings that come along with energy efficient windows. All the models we offer come standard with energy efficiency features that will save you money in the long run. We are also glad to work on projects involving Replacement Widows in Mount Washington and surrounding areas. We focus on our local clients and we are proud of the impact we are making in improving building efficiency as well as building aesthetics. You will enjoy your new windows for a long time in your property. And if you do decide to sell your property, new windows add to property value and appeal to buyers. New windows is an excellent investment into your property that pays dividends in the long run, but also has immediate benefits to your comfort and utilization of your space immediately after installation is complete. Don’t wait another moment to get your windows renovation project off the ground. The first step is to give us a call, and we will guide you through the process one step at a time. As experts in the industry, we can steer you away from common pitfalls in product selection as well as guide you to make the most informed decisions that would benefit your property in the long run. Your helpful guides will educate you on the options at hand, and you will be free to make your own decisions based on your style, budget, and timeline. We look forward to being able to serve you and can’t wait to see the transformation your property will experience after your renovation project is complete.